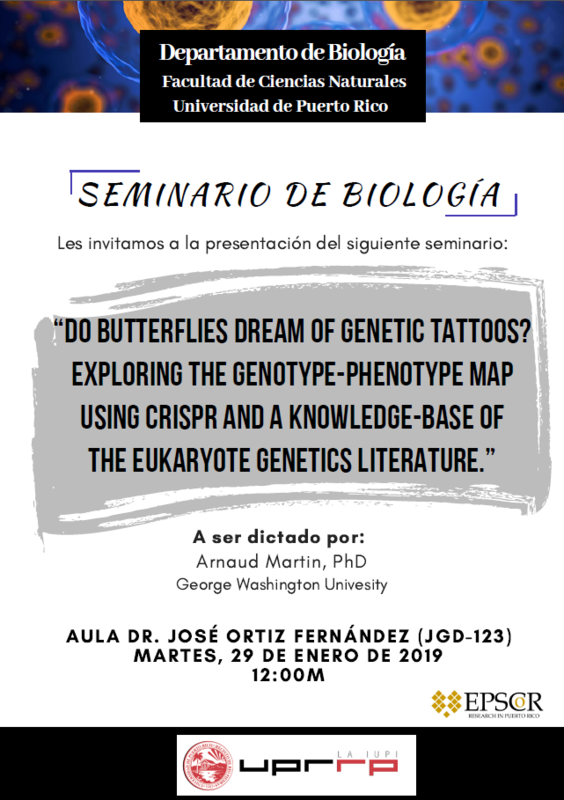 Dear colleagues: Dr. Arnaud Martin from George Washington University will be our guest for Tópicos next week. He will be presenting his seminar on Tuesday (see flyer). 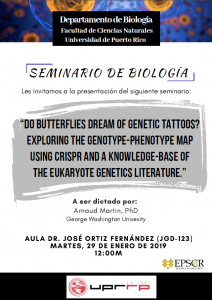 He will cover the topic of “The Genetics of Phenotypic Diversity”. He will be available to meet with faculty and students. 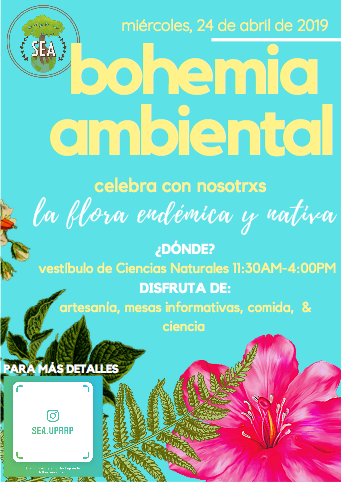 If you would like to meet with him, or know someone that might be interested, please contact me (jegarcia@hpcf.upr.edu) or Gustavo Lopez (gustavo.lopez5@upr.edu) to save date/hour for your meeting.